Every student wants to achieve a “good” score on the ACT, but does everyone know what a “good” score is defined as? While the answer is relative based on each individual student, for this purpose, we’re defining a “good” score by measuring against the national averages of students across the country. Keep in mind, however, that these definitions are not absolute. The goal of the exam is to help with your college admissions, so a “good” or “bad” score is relative to your college choices. Ultimately, your score only matters in comparison to the other students who are applying to the same schools. You should define your scores based on the colleges you want to apply to for admission. It’s actually quite easy to find out what the average ACT score is at any given college. Here’s how to easily figure out a college’s average ACT score: 1. Start by Googling [Name of College] ACT score. Your results will likely yield both the 25th and 75th percentiles of scores of students currently attending the score. To interpret this correctly, the 25th percentile means the lower end of the scale (25 percent of students have the listed score or lower) and the 75th percentile is the higher range (75 percent of students have the listed score or higher). 2. Take the two numbers given (the 25th and 75th percentile scores) and generate the average between the two. That will give you the average score of admitted students at that particular school. As a goal, you should aim for the 75th percentile as your target score because it means you’re likely to gain admission. 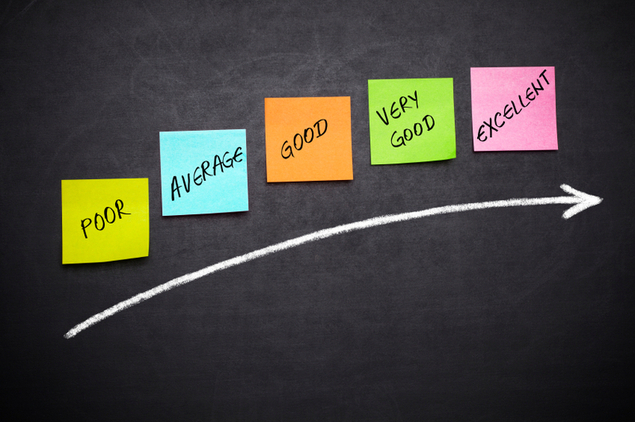 While it is useful to be aware of the average score at a school, you don’t want to aim for the average but, rather, the higher end of the spectrum of the two scores shared by the college. If you’re in the 25th percentile, you’re going to have to work especially hard on the other aspects of the admissions process. Remember, for you, any score that will get you admitted into the college of your choice is a “good” score. So, what’s normal for most students? To start off, you should know that the lowest attainable score is a 1 and the highest, a 36. This scale is different than the SAT, which has a higher minimum score. What is a good ACT score, anyway? The national ACT average composite score is 20. The test was created and designed to have this average score on the overall ACT exam, as well as within each ACT section. So, ranking within that area puts you right in the middle of students across America. That means that about half of the country’s students are above or below a composite score of 20. The top 25 percent of ACT exam takers achieve a composite score 24 or higher. If you score above a 24, pat yourself on the back, smarty-pants. You have achieved what most students never will! The bottom 25 percent reach a composite score of 16 or lower. Anything below a 16 is the danger zone! If you’re not happy with this score, don’t fret, you can still focus on improving it. Learn more about the ACT’s national score rankings ACT’s national score rankings on their web site.